Injured first responders could retain their health insurance coverage under a bill advanced from general file March 29. 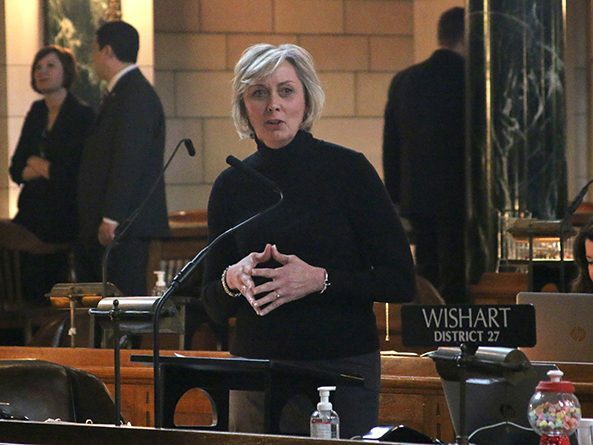 LB444, introduced by Fremont Sen. Lynne Walz, would prohibit cities and counties from cancelling existing health insurance coverage for any law enforcement officer who suffers serious bodily injury as a result of an assault while in his or her official capacity. The city or county would be obligated to provide health insurance while the first responder remains employed with the agency and returns to work within one year of the original injury. Walz told the story of Deuel County Deputy Sheriff Mike Hutchinson, who was shot four times in an ambush while trying to serve an arrest warrant in 2015. Hutchinson lost his health insurance coverage because he was unable to work more than 30 hours each week. Walz said the Legislature should make sure that what happened to Hutchinson does not happen to another first responder. “It’s very important that we’re supporting and doing what we can for the people who are out protecting us every day,” she said. A Judiciary Committee amendment, adopted 28-5, would further extend the bill to cover injured sheriffs, deputy sheriffs, volunteer or paid firefighters and volunteer or paid mental health care providers. Crete Sen. Laura Ebke introduced an amendment to the committee amendment to exclude volunteer first responders from the bill’s protections. Because LB444 is designed to maintain currently offered health insurance coverage, it would not apply to volunteers who typically do not receive such benefits as part of their service. Sen. Mike McDonnell of Omaha supported the bill. He said first responders do not get into their line of work because of the pay or benefits they expect to receive. The state should, however, honor their sacrifice and take care of its public servants who put their personal safety at risk every day, McDonnell said. “We should make sure, at a minimum, that they have the health insurance coverage they had the day they were injured or made the ultimate sacrifice,” he said. Lincoln Sen. Matt Hanson also supported the bill, saying that protecting insurance coverage is just one way to support first responders. 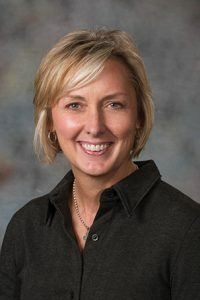 Thurston Sen. Joni Albrecht said she supports first responders, but ultimately opposed the bill. Requiring continued coverage, she said, would put an undue strain on small towns and counties. Following adoption of the Ebke amendment on a 28-3 vote, senators advanced the bill to select file 33-4.